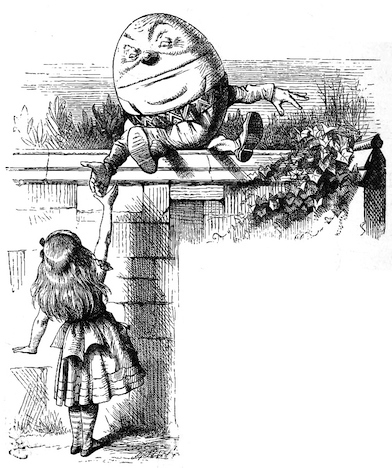 Humpty Dumpty explains portmanteau words to Alice in “Through the Looking-Glass.” Lewis Carroll is credited with first using “portmanteau” to describe blended words. I’m a big fan of portmanteau words. These made-up words combine elements of two existing words to form a new one with a blended meaning. You might call them verbal mash-ups. A portmanteau is a trunk or suitcase that opens into two equal parts, one side to carry folded clothes and the other to carry garments on hangers—an apt simile for these linguistic amalgamations. I could say meld, which itself is a portmanteau of melt and weld. Carroll coined quite a few whimsical portmanteaus such as mimsy (flimsy + miserable), slithy (lithe + slimy), galumph (gallop + triumph) and chortle (chuckle + snort). It’s the dream of every marketer to attrach new customers. It’s not enough to simply attract customers; we want them to attach to our brand and never let go. We long for that elusive stickiness that keeps them loyal to our products purchase after purchase. Attract + attach = attrach. Attrach can also be used to describe relationships. We might say that someone is attrached to another person. They’re not just attracted. 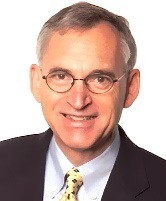 There is an instantaneous connection, an immediate bonding or pairing. It’s the Super Glue of relationships. Attraching conflates into one action or result several traditionally separate steps that occur in the buying process or in a relationship. In marketing literature, we often see the steps to a purchasing decision defined as 1) awareness or interest, 2) research 3) evaluation, 4) decision-making, 5) purchase and 6) post-purchase. But why bother with this orderly process when you can just attrach your customers in one fell swoop! I’m hoping attraching catches on. I see no reason why it shouldn’t. Then again, some portmanteaus never gain acceptance. For example, did you know that in the 1890s the word blunch was a portmanteau for breakfast and lunch? Hmm. This entry was posted in Communications, Marketing and tagged attrach, Humpty Dumpty, Lewis Carroll, portmanteau, Through the Looking Glass. Bookmark the permalink.